Hearthstone: Heroes of Warcraft is now available for the iPad in Australia and New Zealand, Blizzard has announced. In addition to Canada, Australia and New Zealand are the first territories in the world to be able to play the iPad edition of Hearthstone. The free-to-play collectible card game is compatible with iPad 2, iPad (3rd generation), iPad (4th generation), iPad Air, iPad mini, and iPad mini with Retina devices. It can be downloaded from the Apple App Store right now. Hearthstone is coming to Windows 8 tablets, iOS phones, and Android devices later this year. It left beta on PC and Mac last month. The game is completely cross-platform compatible, so those on iPad can challenge their mates on PC, for example. 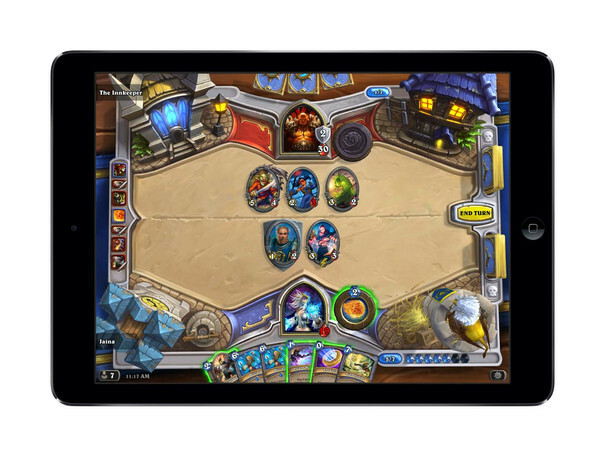 “Hearthstone’s player base has already grown to more than 10 million accounts registered following the official Windows and Mac release, but we saw that a few people online were holding out for the iPad version,” said Blizzard CEO and cofounder Mike Morhaime. “Instead of calling those folks up individually, we figured we might as well let everyone know that the global iPad rollout for Hearthstone has begun, and pretty soon it’ll be available everywhere. A free-to-play CCG from Blizzard. Warcraft conquers yet another genre?